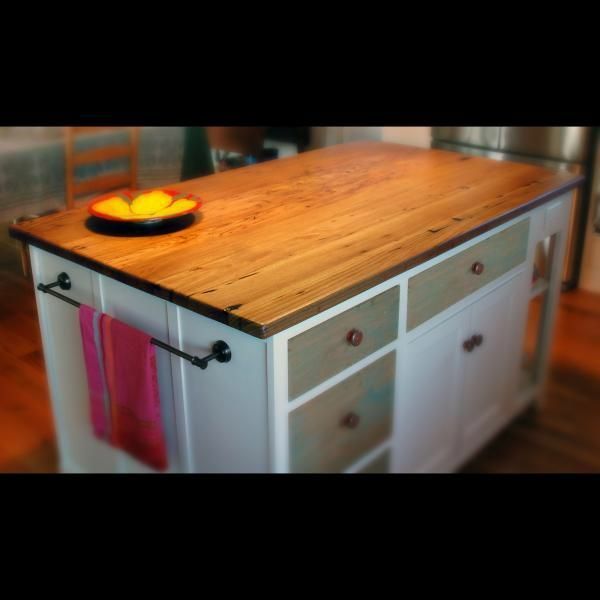 I built the top for this kitchen island from antique, reclaimed American chestnut. The wood presented its own challenges, as it contained hundreds of tiny holes, primarily caused by insects over the years. 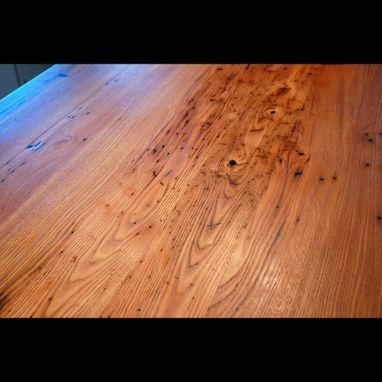 The holes were filled with a special mixture of epoxy and black dye, which enhanced its antique appearance. The grain was then brought to life with mineral oil, and sealed with oil/urethane. 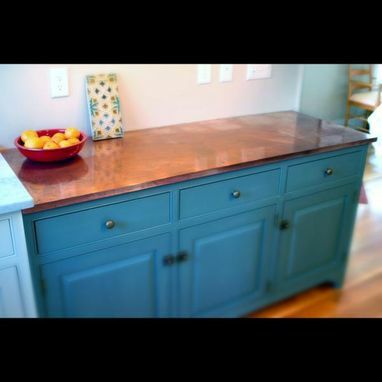 For contrast, a different section of countertop was built from a plywood substrate, then wrapped in copper. It was left unsealed, which will allow a beautiful, natural patina to develop over the years.